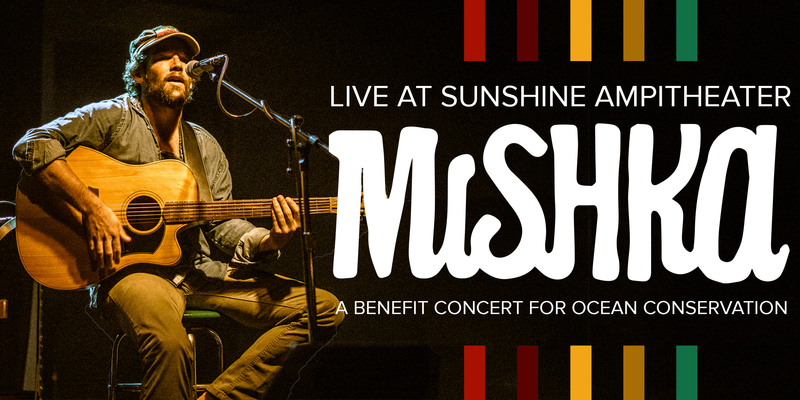 Join us as we celebrate an ocean-inspired evening with reggae great, Mishka. The intimate acoustic concert will be held at Boulder's iconic Sunrise Amphitheater and proceeds from the concert go to Ocean First Institute, a Colorado-based nonprofit organization dedicated to ocean conservation through research and education. Mishka is an accomplished reggae artist with nine Billboard charting albums. He hails from Bermuda, and his time growing up in the Caribbean has made him a passionate ocean conservation champion. The event is hosted by our partners Ocean First and the A Rising Tide scholars. A Rising Tide is a documentary web series that follows Colorado students who receive the scholarship of a lifetime and, through a combination of marine science, scuba diving, and out-of-this-world adventures, have an experience that takes them to the intersection of education and fascination. For more information and to purchase tickets, please visit here.